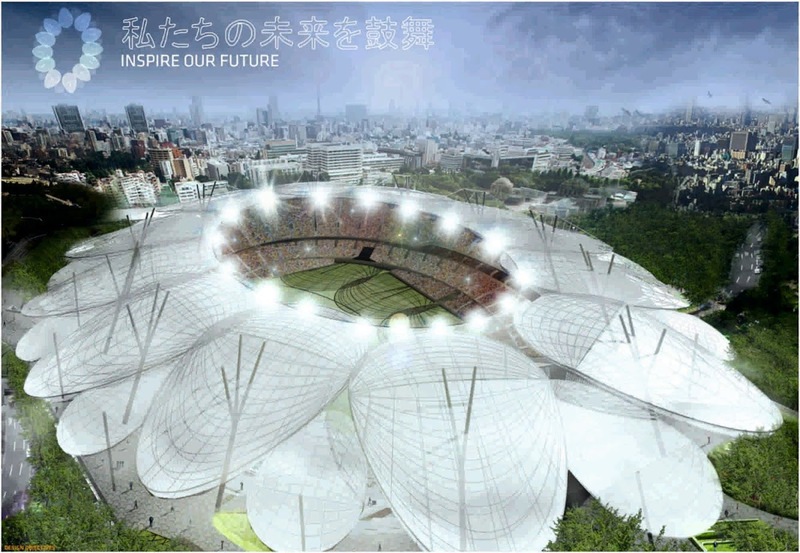 Design proposal for the new national Stadium of Japan located in Tokyo. 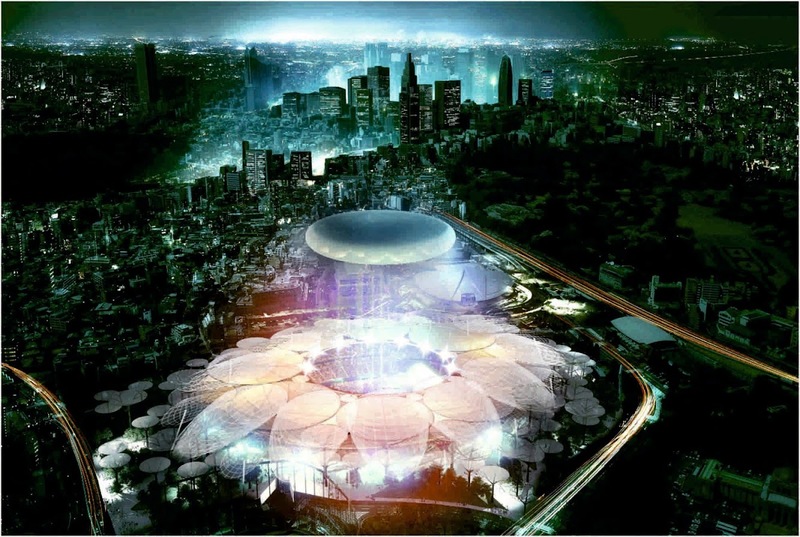 Designed by Jackson Architecture, their proposal for the Japan National Stadium is a new stadium in a park, where nature is apparent and can be integrated. Car parking, buses, community and service facilities exist below the park: neighborhood recreation and health areas contribute to the excitement and atmosphere, inhabited every day. 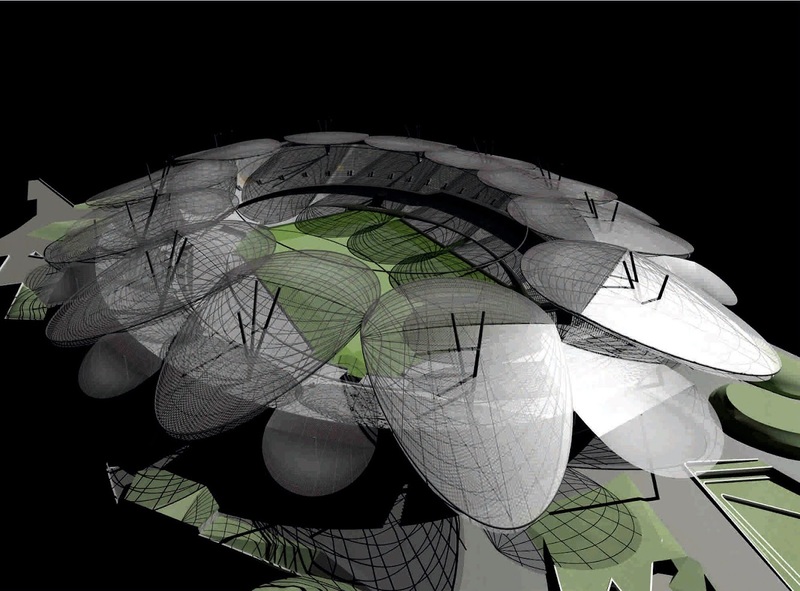 The first impression is of a large park, within which a large “ellipsoidal object is placed. The stadium capacity is for 80,000 spectators and can be utilized for rugby, soccer, athletics and concerts. 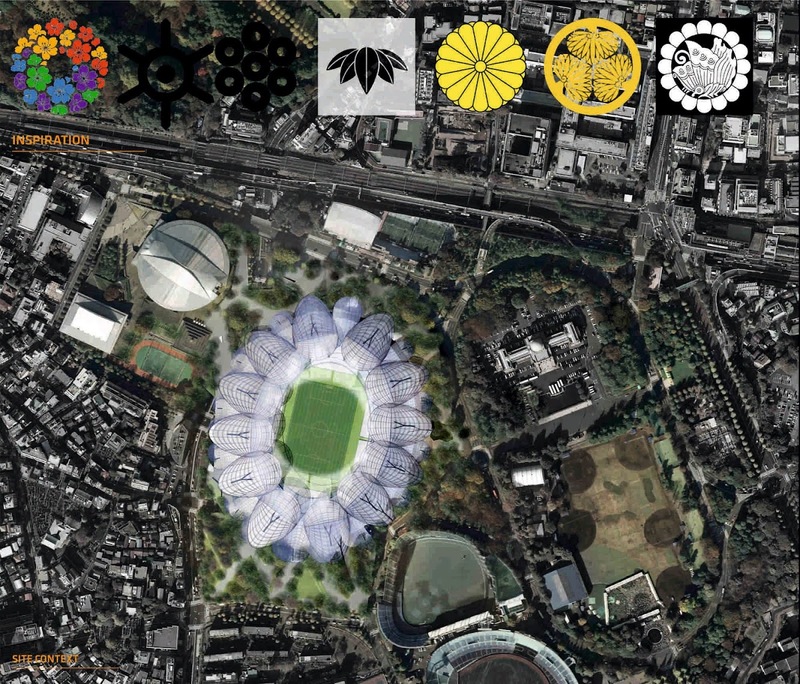 The stadium bowl lies within a podium that houses all facilities underneath while creating spaces for public parks and recreational areas above, thus providing more public space within the urban fabric of Tokyo. 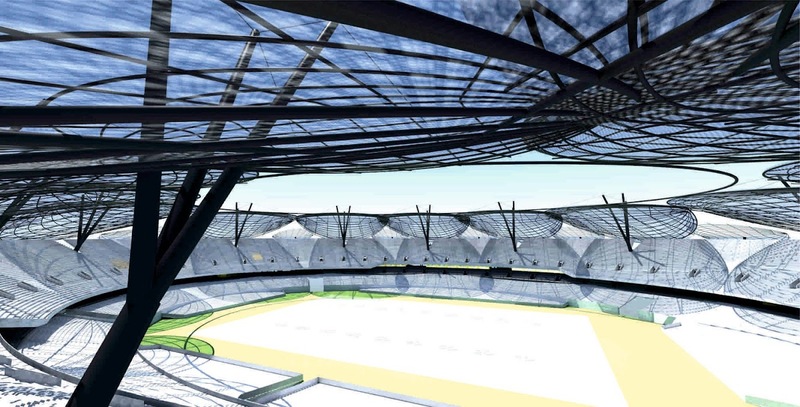 The stadium bowl is designed to be naturally ventilated and open in plan to allow for maximum comfort to players and promote cross air flows at pitch level creating a venturi Effect. Player comfort is important and by lowering the bowl and creating a “cool sink” with the playing field, we enhance player comfort to promote their best performance. 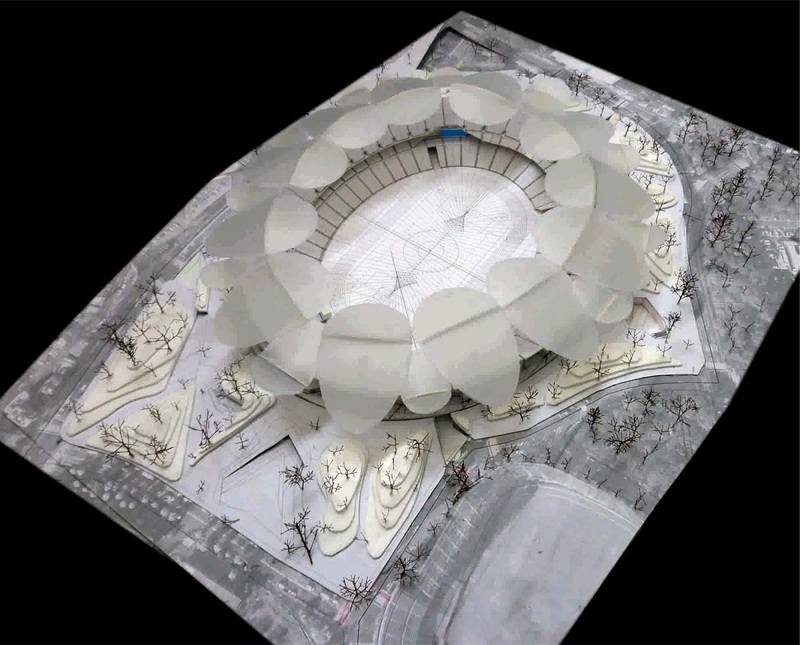 A light weight roof has been designed to reduce resource use and lower costs. This create less of a financial impact and environmental impact. 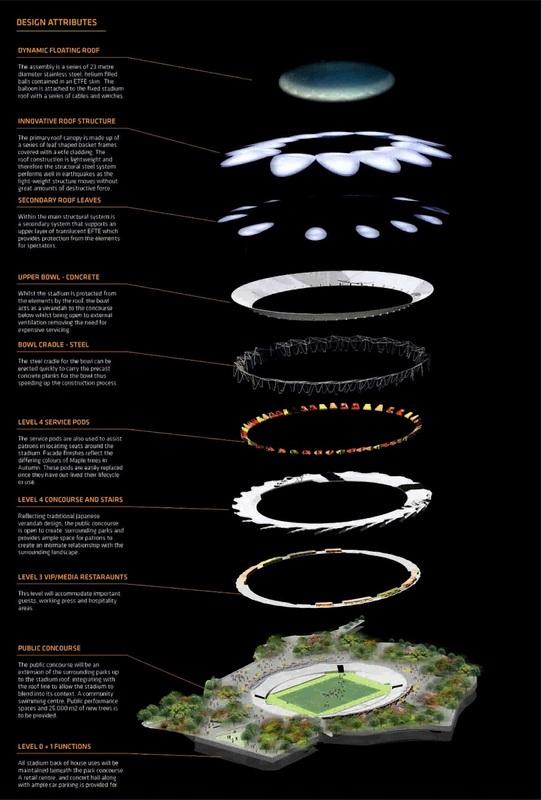 The roof has been designed with modularity and prefabrication in mind to again increase sustainability for the project. Passive solar design and the use of Etfe panels with Pv cells over laid on the skin of the roof allows for patrons to be protected from the elements, enjoy diffuse natural daylight whilst the roof panels generate renewable energy from the sun.